KTH School of Electrical Engineering (EES) seeks a PhD student in Micro- and Nanoelectromechanical Systems (MEMS / NEMS) KTH is the largest technical university in Sweden. Education and research cover a broad spectrum within natural sciences and engineering, as well as architecture, industrial engineering and management, urban planning, work science and environmental engineering. 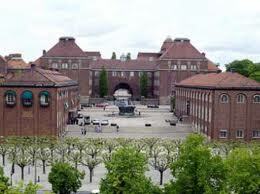 KTH has 13.344 full-time equivalent students; 6.955 at Bachelor (first) level and 5.545 at Master (second) level. In addition, there are 1.314 full-time equivalent students pursuing doctoral studies (third) level and 3.900 employees. The School of Electrical Engineering conducts research and education in the fields of electrical engineering, systems engineering, information and communications theory, space and fusion plasma physics, and electrical power engineering. 300 people work in this creative and dynamic environment, of which half are Ph.D. students, many from other countries. Our research projects are carried out in close collaboration with industry partners as well as with research colleagues from Sweden and other countries. The school is responsible for educating civil engineers in electrical engineering and five masters programs which are in great demand and which have a close connection to our main fields. The research area of micro- and nanoelectromechanical systems (MEMS / NEMS) is concerned with research on devices that have dimensions in the micro- and nano-scale and with the technologies to fabricate these types of devices. Common examples of MEMS/NEMS devices include inertial sensors that enable the popular motion controls in gaming consoles and in smart phones. The Microsystem Technology (MST) Lab at KTH is one of the leading MEMS groups in Europe and consists of more than 25 researchers and students. Research activities at KTH-MST include applied and basic and research on MEMS and NEMS devices and is done in close collaboration with Swedish and European industries. More information about the Microsystem Technology Lab can be found at official website. The Microsystem Technology Lab at the KTH School of Electrical Engineering invites applications for up to 2 PhD student positions in Micro- and nano-electromechanical systems with focus on advanced MEMS and NEMS device implementation and novel fabrication technologies. As a PhD student in micro- and nano-electromechanical systems (MEMS / NEMS) you will develop new device concepts and/or new technologies to fabricate micro- and nano-structures. Within the specific projects, the aim is to develop new technologies for heterogeneous micro- and nano-systems and implement these technologies to realize functional MEMS and NEMS devices. Examples of the targeted device applications include NEMS switches for ultra low-power logic circuits and micro-optical devices. The projects involve both theoretical and experimental tasks as well as cooperation with other scientific disciplines. The experimental work will be conducted in the KTH semiconductor cleanroom in Kista. The projects engage several PhD students at KTH-MST and are conducted in close cooperation with a number of European universities and high-profile industrial partners. The PhD student positions include up to twenty percent teaching duties for undergraduate level. The salary is based on the existing employment agreement for PhD positions at the School of Electrical Engineering. The potential candidate must have a master`s degree in Material Science, Mechanical Engineering, Electrical Engineering, Engineering Physics, or a corresponding degree. A specialization in micro- and nano-engineering is an asset. The candidates should have excellent grades and very good skills in oral and written communication. The candidates should be highly motivated for doing scientific research and should have well developed analytical and problem solving skills as well as an interest and curiosity for the possibilities and applications that micro- and nano-system technologies provide. KTH aims to employ a diversity of talent and thus welcomes applicants who will increase variety at the university, especially as concerns its gender structure. CV (maximum 2 pages) including education and relevant academic and work experience. Cover letter (maximum 1 page). Official record of transcripts and copy of degree certificate. The above described documents should be attached as word or pdf files. Please indicate our reference number E-2011-0463 in the e-mail subject field. Demikianlah informasi PhD Student in Micro and Nanoelectromechanical Systems (MEMS / NEMS) at KTH Royal Institute of Technology kami sampaikan, semoga bermanfaat.